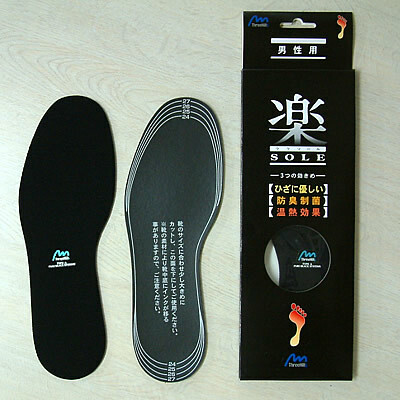 Product Introduction Raku-Sole (Insole) | Threehills CO., LTD. 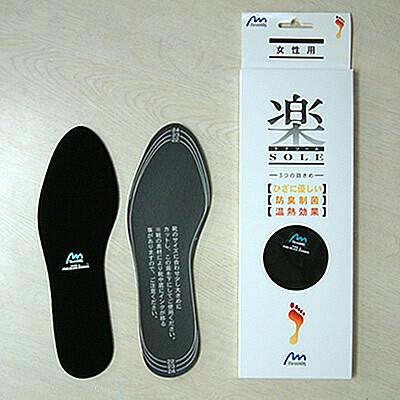 This is an almighty insole composed of low-resilience material in which Pure BLACK is kneaded. When adjusting your insole size, cut off the periphery of the insole along the outline so that it becomes a little larger than your own foot size and fits your shoes. Please note that insoles may be partially stained with ink depending on frequency of their use and/or type of material used for your shoes. Since the insoles have some thickness, you are recommended to wear shoes which have enough room for them. 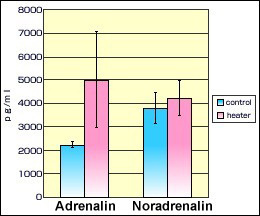 The effect may vary from individual to individual. This insole, which adopts three highly-functional materials, has become innovational. We kneaded in low-resilience material Pure Black, our original ceramic material emitting characteristic far infrared rays. We have applied antibacterial (Bioguard) and fitcell processing to the insole manufacturing, so that the insole is recommended for use to people who suffer from "odor" and/or "coldness" of their feet or knee pain. Though my feet are warmed in winter, they don't get sweaty in summer. This insole is almighty, since it can be used all the year round. The fitcell material is light and highly shock-absorbing. It is soft to touch and highly restorable in shape. And it has a good air permeability. CGX is highly effective in eliminating unpleasant foot odor caused by isovaleric acid offensive odor caused by ammonia included in sweat. CGX has acquired certification numbers for both "general use" and "specified use" from Japan Textile Evaluation Technology Council (JTETC) by meeting the standard of antibacterial effectiveness against Staphylococcus aureus, Klebsiella pneumonia, Pseudomonas aeruginosa, Escherichia coli, and MRSA. CGX is human-friendly material using antibacterial agent which passed JTETC's strict "Safety Standard." Bioguard has met the standard of antibacterial effectivity after the 50-times industrial washing at the temperature of 80℃ specified by JTETC, because antibacterial agent is fixed throughout the fabric like dyes by infiltrating it from the surface deep into the inside. We have been successful in making the material used for Raku-Sole emit unprecedented far infrared rays.